A luxury tour in Andalucia visiting Sevilla, Cadiz, and Granada, exploring the beautiful 'Pueblos Blancos', enjoying delicious cuisine and wine. Your tour in Andalucia (west) visits the ancient cities of Sevilla,Cadiz and Granada,archeological museums,the Cathedral in Sevilla and the Alhambra in Granada. Discover the beautiful white villages (Pueblos Blancos),taste delicious tapas and enjoy the culture and passion of Spain. Your Andalucía tour starts in exciting Sevilla- visiting the Sevilla Cathedral and exploring her intriguing streets. Sevilla has some of the best tapas bars in Spain. 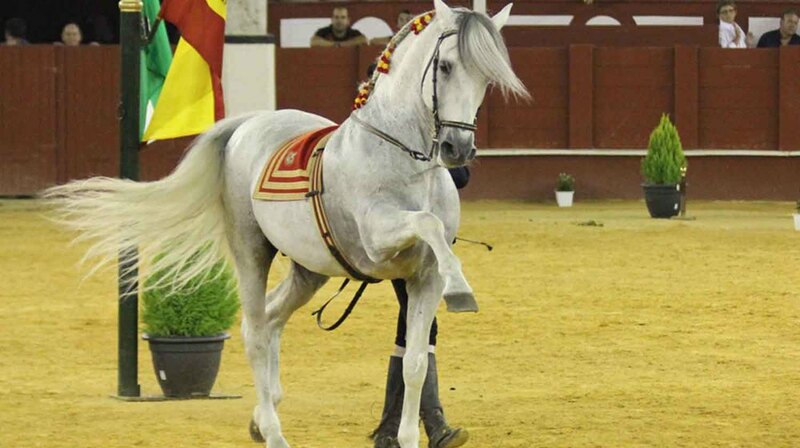 Experience the passion and grace of the Royal School of Equestrian Art, and afterwards visit a Bodega in Jerez, tasting the fabulous variety of Finos Jerez is so famous for. Relax and enjoy the freshest seafood on the beach in Bolonia. Travel back in time through the incredible archeological museums in Cadiz. Your adventure includes visiting caves with some of the oldest paintings that date from the Paleolithic period, 25,000 years ago. 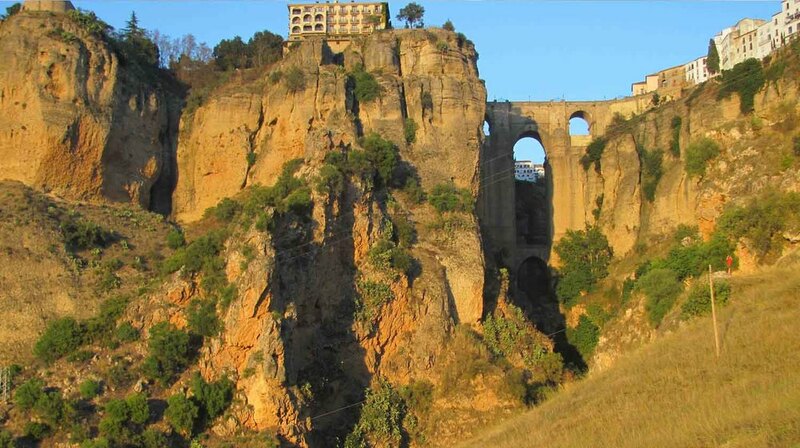 Explore the stunning white villages (Pueblos Blancos) of Arcos, Vejer de la Frontera, Grazalema, and Ronda. From Ronda, we travel to Granada to be enchanted by the mythical palaces of the Alhambra and its beautiful Generalife, enjoying the lively Albaycin with views of the Alhambra from Sacramento. During your tour in Spain, you can choose to either share meals together as a group or discover tapas bars and restaurants on your own. We provide you with an insider's guide to the best places to eat during your tour in Andalucia, including maps and directions for wonderful attractions to see, fabulous crafts, shopping haunts and many other little surprises which make our tours so special. Meet some of our favourite locals who have become close friends and discover the warmth and hospitality of the Spanish people. The luxurious hotels and apartments we stay in provide a relaxed environment with space and comfort ensuring you always have privacy. We endeavour to keep the travelling distances between day trips to a minimum so that when we arrive at each destination you will have time to unwind and relax. On occasion, the days itinerary may be interchanged depending on the weather and availability of tickets. We advise you to have a reasonable level of fitness. We will take all care possible to ensure your trip is safe and comfortable, however, we do require you to have travel insurance. If you have any queries and dietary requests please feel free to get in touch with us here. •Farewell dinner at the end of the tour. We welcome your enquiries. For more information on dates, prices and all other travel requirements please feel free to contact us anytime. Your luxury tour in Andalucía is all inclusive of the following : Accommodation in luxury hotels and apartments, All Breakfasts, welcome drinks and tapas, farewell dinner, comfortable air-conditioned Transport, All entrances tickets to museums, galleries and activities included as above.